While you likely know that your business needs a “social media presence,” do you realize what that means? Utilizing social media needs to be both affordable and helpful to reach your goals. Here are 6 tips that can aid you in choosing the best strategies for your type of company and its size. If you are only marginally familiar with how social media works, take the time to learn more. While the basics are similar across different platforms, it is best to alter your technique for each site to specifically target the audience you want to draw. Consider social media an integral part of your customer service plan. Many consumers prefer to offer opinions on social media rather than through email or on the phone, so it is important to check comments and listen to what your customers have to say. Communicate with consumers regularly on social media but do not bombard them with promotions. That gets old quickly. It may be advantageous to use an automated software program to plan and deliver your posts. Respond to the customers who post about you. It is a great opportunity to engage viewers and ensure that they are not only happy with your business but will recommend it to others. Resolving disputes quickly can inspire customer loyalty. 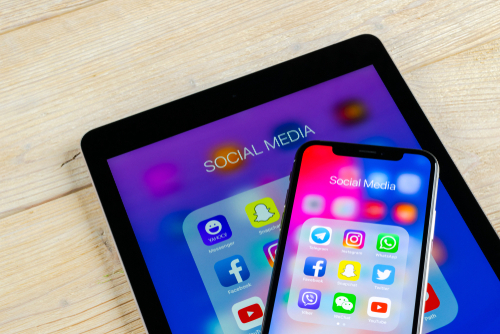 Begin your social media campaign with 2 or 3 platforms. It can be challenging and defeating to try to stretch your social reach to too many sites. After establishing a solid presence on a few, you can strategically add more. Be sure to measure your results to ensure that you are making the most of your campaign. Contact Top Marketing Agency at (888) 843-9840 for information on how to launch a successful social media program.